Samsung unveiled its another product just before the Mobile World Congress, this time they released Android Ice Cream Sandwich Tablet. The GALAXY Tab 2 (10.1)is available in 3G and Wi-Fi version. 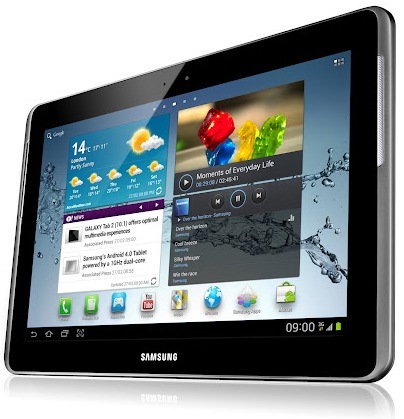 The new Galaxy Tab 2 (10.1) has 1 GHz Dual-core Processor, 10.1-inch WXGA PLS TFT display with 1280 x 800 resolution, 3 MP rear camera and VGA front facing camera for video call. The Galaxy Tab 2 10.1 runs on Android 4.0 Ice Cream Sandwich and has 1GB of RAM, 16/32 GB Internal memory and support Up to 32 GB microSD card. Starting from UK, the GALAXY Tab 2 (10.1) will be launched in global market from March.